So much of our lives nowadays are designed in ways that minimize our discomfort. Online shopping, drive-thru, and medicine are only a few examples of how our lives have been improved by the advances of ingenuity and technology. However, convenience has come at a price. We have become so accustomed to easily attaining anything we want that situations which require more effort than raising a finger are all of a sudden too difficult to be worthy of completion. This kind of thinking is very dangerous. The feeling of being uncomfortable is not something to avoid. As leaders, we should embrace these situations instead of shying away from them. I take that back. As leaders, it is our duty to seek out these situations and run full speed into them. What is rarely seen in these uncomfortable situations is the opportunity for growth. It is only through scenarios that we’ve never dealt with before that we can learn anything new. Dealing with the same thing over and over again will result in the extreme specialization of our skills in a way that is not beneficial in any other situation. Sure you may be the best person in the world at one particular job, but what about when you’re done that job? What other skills have you developed that will help you thrive in other jobs? As scary as it may be to experience something new, it is a required aspect if we hope to increase our leadership skills. Two summers ago I worked for New Student Orientation, a job I loved and was very good at. The second summer I worked there, however, office work was added to the list of job requirements. Part of the office work was answering phones when they rang, a task I dreaded. I actively avoided answering the phones while in the office out of fear of stepping out of my comfort zone. While it was much easier for me to duck out of the room when any phone rang than deal with the caller on the other end, I eventually realized this was doing more harm than good for myself and decided to make a change. I gathered up my courage, answered the next phone that rang, and guess what? It didn’t kill me! As surprising as it was to me at the time, in retrospect this act depicted the contrasting fantasy and reality of things we fear. In our minds we build up an idea of how awful or awkward a situation might be when in actuality, these ideas almost never come to fruition. The only thing that is needed for us to realize this is a moment of courage. Just one instant of bravado is needed for our minds to shift from fear to enjoyment in these situations. So the next time you ever fear something, remember that this fear is much worse than what the situation will actually be. Take a deep breath, muster up your courage, and dive right into the temporary discomfort only to discover the happiness on the other side. Fear and anxiety are inescapable, but this does not mean we have to live by their rules. Acknowledging this hesitation is a powerful way of recognizing what truly matters to you and realizing it is these situations which you must complete if you have any hope of growing as a leader. Luke Modzier is a School of Arts and Sciences senior majoring in Exercise Science and Sport Studies. 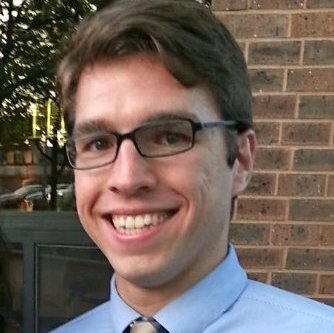 Luke is currently a Resident Assistant, Intern at Rutgers Leadership and Training, and a member of the Rutgers crew team. After graduation, Luke plans on attending grad school to pursue a career in student affairs in higher education. This Post was tagged Comfort, Fear, leadership, Resident assistant, rutgers, Student affairs. Bookmark the permalink.